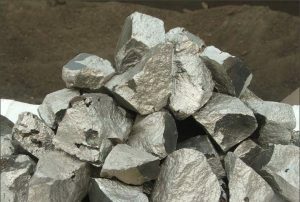 Manganin is the trademarked name for an alloy that consists of three metallic elements – Copper, Nickel and Manganese. This alloy is useful in various industries. Read on to learn more about the composition, properties and uses of this material. Edward Weston, an American chemist, was the first person to discover “Manganin” in 1892, while working on the improvement of another metallic alloy. 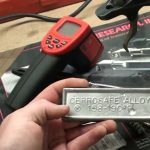 This alloy, which was previously known as “Alloy No. 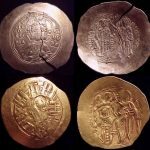 2”, was discovered by Weston who renamed it as “Constantan”. The chemical formula of this substance is CuMnNi. It consists of the formulas of all the constituent metals, namely CU for Copper, Mn for Manganese and Ni for Nickel. It has the formula weight (sum of the molecular masses of the atoms in the formula) of 177.18 g/mole. This alloy has a low temperature coefficient of resistance (relative change of the physical properties of a substance with 1 K temperature change). The resistivity of this resistance alloy is 4.55×10-5 ohm centimeters. It has a melting point of 960 °C. The tensile strength of this substance ranges between 300-600 MPa. The electrical resistivity of this alloy varies between 43 and 48 µOhmcm. The density of this alloy is 8.4 g/cm3. It has a specific gravity of 8.5. Its electrical resistance is found to be constant over a range of temperatures. 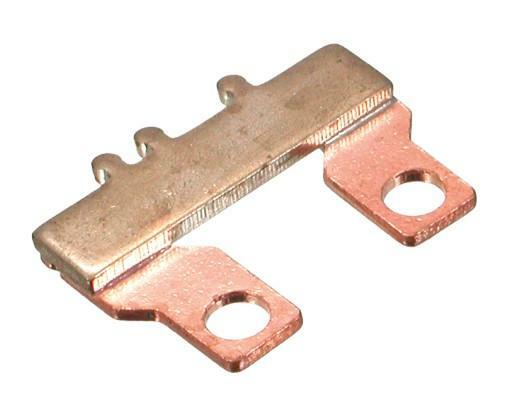 The wire and foil of this material are mainly used to manufacture various resistors – mainly ammeter shunts. Shunt refers to a device that controls the passage of electric current in different points of a circuit. This metal alloy has very low temperature coefficient of resistance. It also has long term stability. These properties make it very useful to be used for making shunts. A coil of this substance is usually 150 mm wide and 0.025 mm thick. This substance has a low sensitivity to strain (Deformation of a substance due to the stress or strain applied to it) and a high sensitivity to hydrostatic pressure (the pressure applied by a fluid at the state of equilibrium as a result of gravitational force). Due to this reason, it is very useful in gauges to study High-Pressure Shock Waves (an energy carrying wave originated from a variety of mediums like gas, liquid, solid and also through various fields under a high-pressure). Manganin gauges are extensively used in high-pressure shock wave studies that range from 1 – >400 kilobars (1 bar = 100 000 N/m2 or 14.5 psi). The gauge is bonded in mainstream applications between two flat polymer plates or metallic plates. Manganin-Constantan Thermocouples are more efficient than Copper-Constantan Thermocouples in the thermometry (temperature measurement) units of Commercial Ultrasound Hyperthermia Systems. Manganin wire is also seen to be used as an electrical conductor in cryogenic systems. Its use minimizes transfer of heat between points that require electrical connections.